A sure sign of spring is the arrival of that cute little rabbit known as the Easter bunny. For those with children you know that the excitement of searching for hidden treats from a furry little friend is second only to awaking Christmas morning. For those looking to enjoy some family fun there are two great Easter themed events happening over Easter weekend. 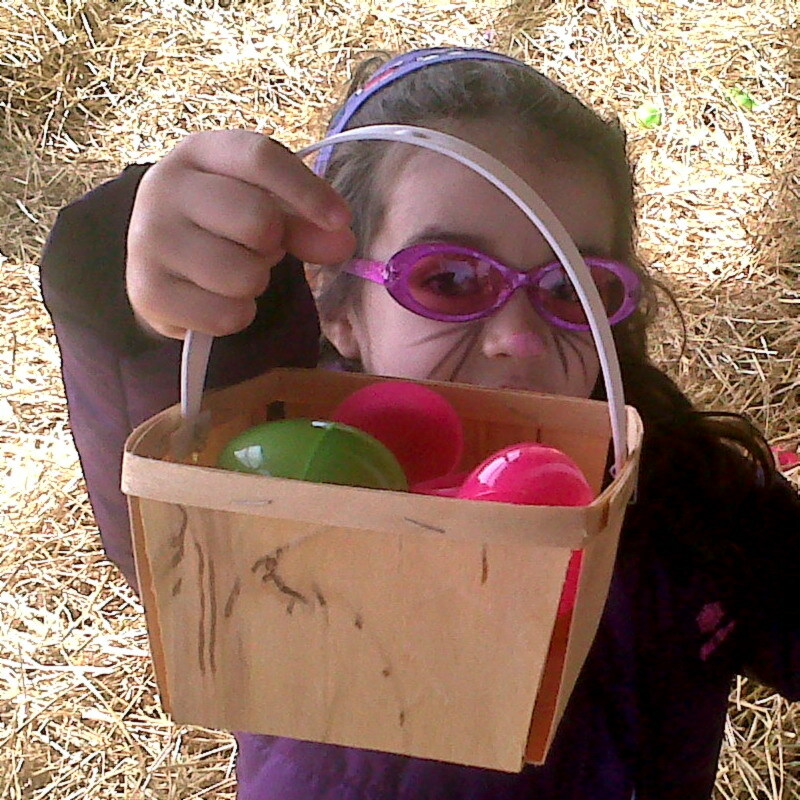 Head to Springridge Farm April 6th to 8th for their Easter festival which includes an Easter egg hunt with the Easter bunny! Other festival activities include “Peter Rabbit's Eggcellent Easter Puppet Show”, pedal tractors, wagon rides & farm tour, pony rides, BBQ and face painting. Plus your kids can enjoy the fun farmyard which includes an animal barn, giant sandbox, corn trail, straw bale jumping and everyone will get a workout climbing to the escarpment lookout. Be sure to visit the market, gift shop and bakery – you won’t leave empty handed! The “jam-team” at Springridge has also been working hard over the winter and have created a very special limited edition, Diamond Jubilee Jam in honour of the Queen, don’t miss out - last year’s Royal Wedding Marmalade was a sell out! Another great family fun event is the Easter egg extravaganza at Mountsberg Conservation Area running April 6th to 9th. 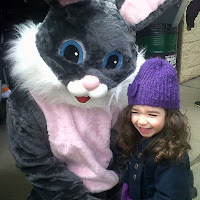 Youngsters can join in the Easter egg hunt and children 10 years and up can participate in the Scavenger Hunt. Other Easter activities include a colouring book station, bubble station, candy jar guess and Easter jeopardy. Make sure to leave plenty of time to visit the playbarn, visit with the farm animals and check out the Raptor Centre. If you haven’t had a chance to get out and enjoy the maple syrup festivals you still have time, both Mountsberg and Crawford Lake continue to April 9th. Kids of all ages will be excited to visit Chocolate: The Exhibition at the Royal Botanical Gardens running to April 15th. Visitors to the Exhibition will have the opportunity to explore interactive displays, visit the cacao marketplace, participate in the chocolate chase scavenger hunt and a variety of programs running throughout the day. For those wanting to get more hands on consider registering for the Incredible, Edible Easter Basket program with Chocolatier David Levy from Chocolate Tales on Monday, April 2nd. For those looking for a culinary delight consider the self-guided Burlington Chocolate Trail, a decadent day of all things chocolate in Burlington. Check out the video of our day on the trail. 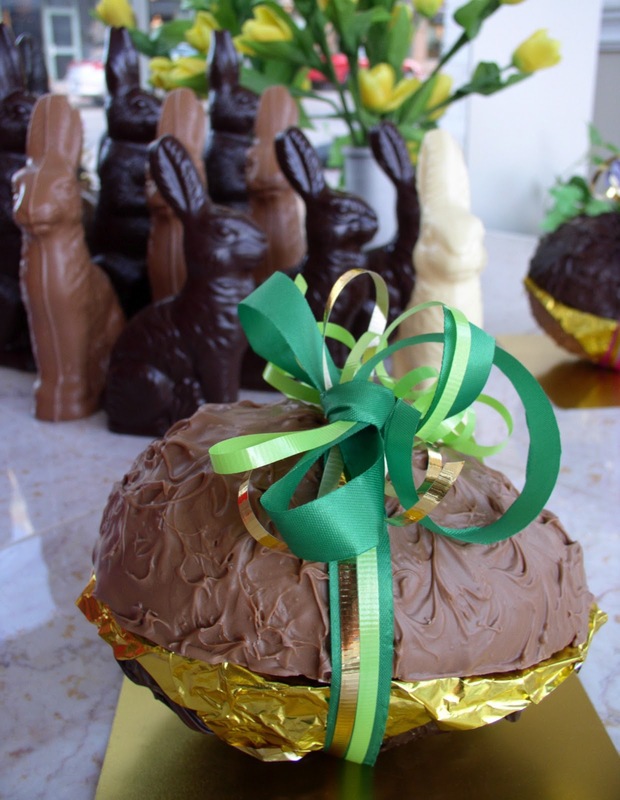 Be sure to visit the chocolatiers including Walker's Chocolates, Casteleyn Belgian Chocolatiers, Longo Brothers Fruit Market (Walkers/Hwy 5), Purdy's Chocolates and Rocky Mountain Chocolate Factory on the trail to pick up all your Easter goodies! If you are planning to dine out, many local restaurants feature Easter specials. Good Friday (April 6) Jake’s Grill & Oyster House will be featuring a fish fry available for dine-in or take out. April 7th and 8th at the RBG Centre the famous Easter Brunch returns, this time with added chocolate features. Take a stroll through the Gardens and catch some early blooms, then join us in the Café for a delicious spread. Seatings at 10am and 1pm. Reservations are required. Holiday Inn Burlington Hotel and Conference Centre is featuring a wonderful combination of culinary specialties to appeal to everyone's appetites from 11am-1pm. They will also have a colouring contest and treats for the kids. Call 905-639-4443 for reservations. The Easter Champagne Sunday Brunch at Spencer’s on the Waterfront features an Easter egg hunt, live entertainment, bar service and a seafood extravaganza including lobster. $47 per adult, $21 per child (4-12yrs), call 905.633.7494 for reservations. LaCosta Nuova will feature an Easter Italian Brunch with seatings at 11am and 1pm. Adults $28.95, Kids under 10yrs. $11.95, Kids under 5yrs eat free. Call 905.634.7421 for reservations. Stone House Restaurant will feature a delectable Surf & Turf Steak & Seafood Buffet from 11:30am-8:00pm. Only $35per person, reserve your table now at 905-632-1316. The Water St. Cooker is having its annual Sunday Brunch (right through dinner), and reservations are filling up very fast! Emma’s Backporch will be featuring breakfast until 2pm. Call 905.634.2084 to reserve. Pepperwood Bistro will be featuring an Easter Brunch with seatings at 11am & 1pm. $25.95/person. Reservations can be made at 905.333.6999. Don’t forget your four-legged friends, have your pet's picture taken with the Easter Bunny on Sunday, April 1st between 11:00 am – 4:00 pm at the Burlington Humane Society’s Bunny Snap. For those looking to stay active over Easter, consider signing up to participate in the Good Friday 5km, 10km and Kids’ Bunny Hop races by Burlington Runners. The races begin at 8:50am at Aldershot High School and you can find race details and registration information on their website. Other great outdoor activities include visiting Conservation Halton Parks, Bronte Creek Provincial Park, Royal Botanical Gardens all of which have excellent walking/hiking trails. You can also head to the Burlington Waterfront to walk/bike along the scenic trail or visit one of our many parks to enjoy a day out. Our visitor centre will be closed on Friday April 6th and Sunday April 8th and open regular hours on Saturday April 7th and Monday April 9th. 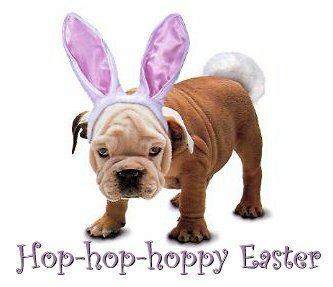 Our administrative offices will be closed Friday-Monday over Easter. You can also visit our website 24 hours a day or reach us on Twitter and Facebook. Looks great!!! Thanks for sharing the information.